Now that we’re in the tail end of the summer vegetable season, I’m rushing to make as many of my favorite seasonal dishes as possible. I think we can all agree that a zucchini that has tumbled it’s way in a crate all the way from around the world doesn’t taste nearly as good as a zucchini that bumped along in the back of a farmer’s truck for a couple of miles. This recipe is a superfast one, and super healthy. 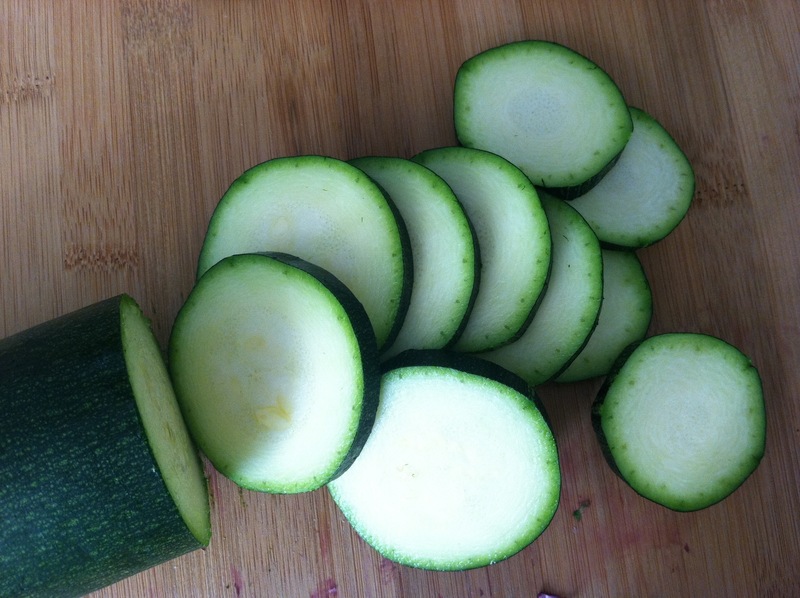 Grab a couple of firm, green zucchinis and a few fresh tomatoes, chop it all up, and sauté with just a few spices. 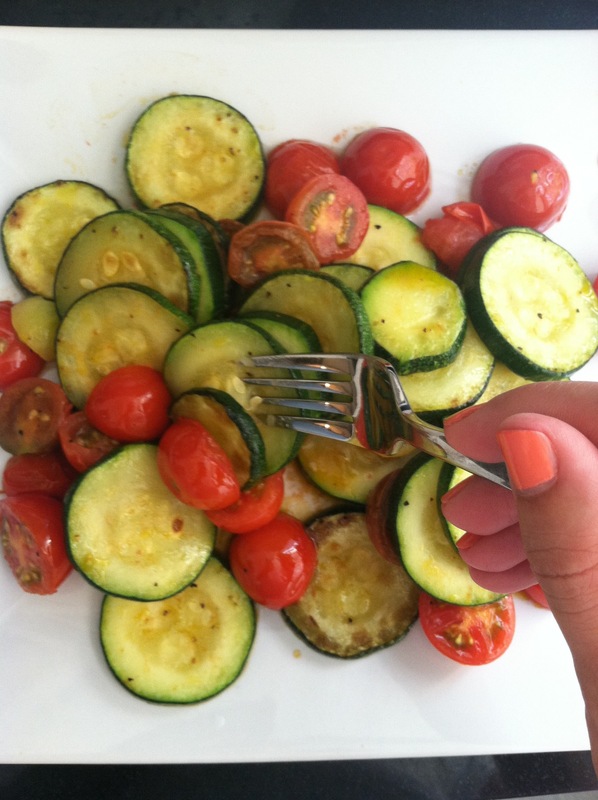 The key here is to let the fresh veggies shine. 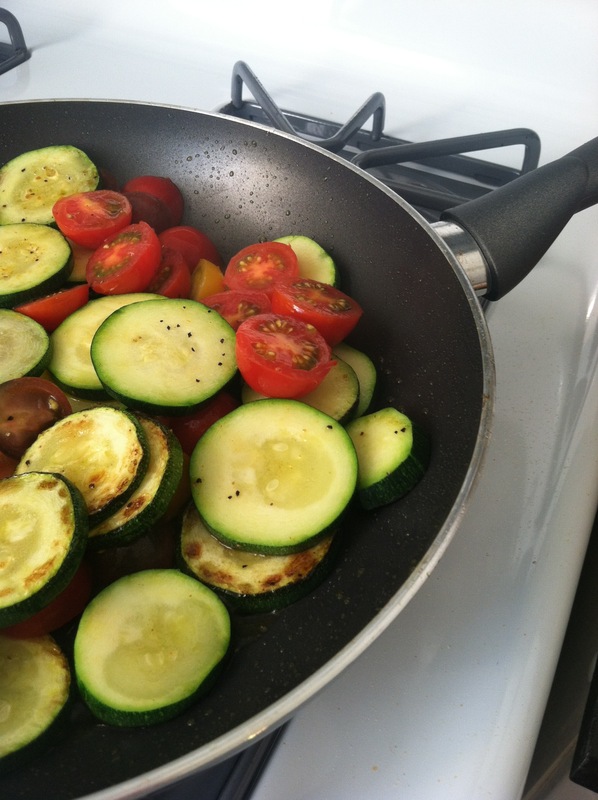 I add a little heat and complexity to mine with a dash of ground cayenne pepper, it really draws out the flavor of the tomatoes and zucchini. This can stand alone as a vegetarian dish, but can be modified a million different ways. I like to add a little tuna right at the end of the sauté if I feel like a more substantial meal. Grilled fish or chicken sliced and laid on top is also an awesome combination and makes for great presentation as well.